Networks are growing at an incredible pace. On one hand, this growth reflects connectivity and the ability to do anything from anywhere, while on the other, it brings up the need for the right tools to manage this complexity. Managing configuration on hundreds of switches, routers, devices and controllers across different locations is anything but mind-boggling. Even the smallest change to such a distributed network can quickly get out of hand, especially if you plan to handle all the operations manually. Network configuration management software is designed to help manage your growing network, it’s configuration and management. 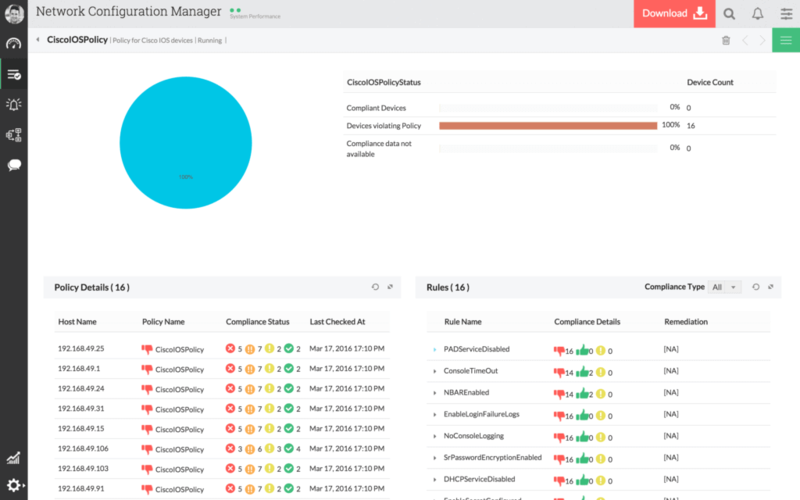 These tools allow you to deploy a new service, do wide-scale configuration changes, recover a failed device, audit configuration files for different compliance standards, upgrade a device and so much more. 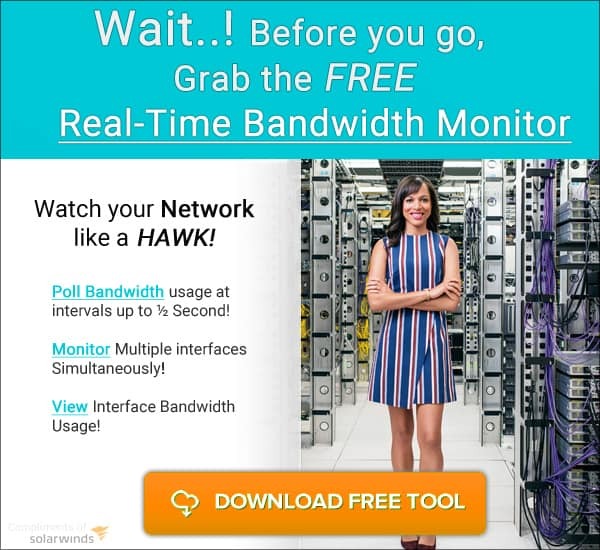 SolarWinds, known for its suite of products geared for network management, offers a full configuration NCM to manage networks. Built-in troubleshooter helps to identify and fix problems within the shortest possible time. Network automation takes care of all the repetitive tasks. 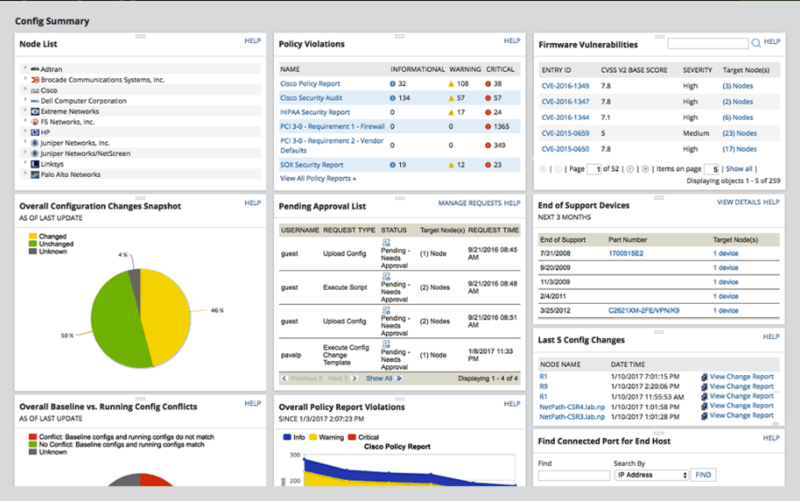 Provides network insights for Cisco ASA. You can audit Access Control Lists, manage firmware upgrades and do a backup of config files for Cisco ASAs. Gives precise information about hardware and software configurations, so you know which ones are nearing their end of service and end of life. Visually appealing reports help to understand the network better. 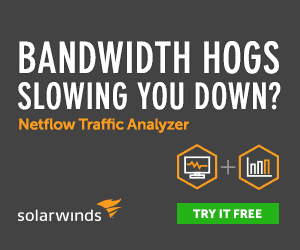 53 different reports are generated by SolarWinds NCM to give you all the details about your network. Comes with an High Availability option to protect against operating system crashes and network connectivity problems. 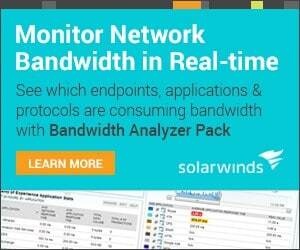 SolarWinds NCM comes with a Fully Functional Free Trial for 30 days. 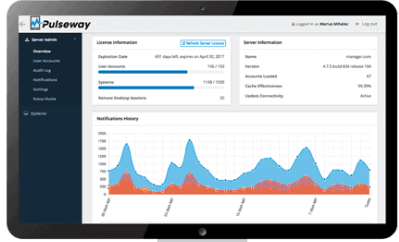 Pulseway is a powerful network configuration and management software that works well across a range of devices. It is highly scalable and this multi-account platform can be hosted on your premise, cloud or on the Pulseway server. Here’s what it can do for you. Generates immediate alerts based on smart rules set by the user. Compatible with most mobile and desktop devices, so users can access and give commands from anywhere. Users can create and deploy custom scripts to automate any network-related task. All connections to Pulseway use an encryption system based on RSA private/public encryption and AES 256-bit session coding. Allows posting to a Slack channel when a notification is triggered. This is in addition to push and email notifications. Pulseway antivirus works with NCM to give complete security. Pulseway comes in two plans – free and team. The team plan is priced at $1.32 per workstation per month (for SaaS) and $3.35 per station per month (for on-premise). You can access the free plan here. 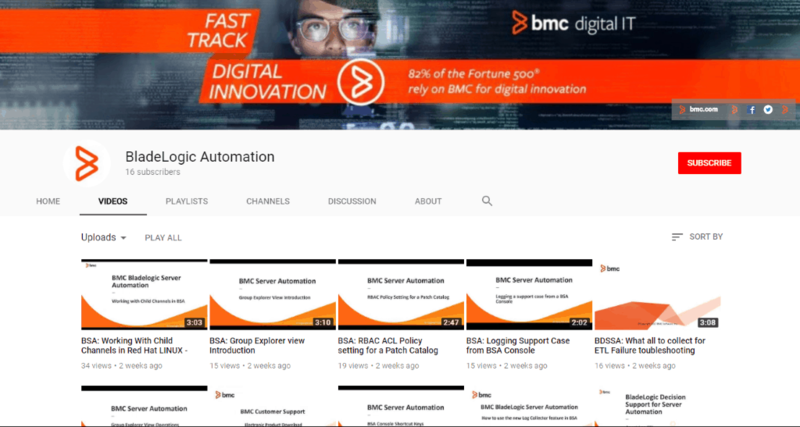 BladeLogic Network Automation from BMC Software helps businesses to run at their peak efficiency with the highest level of security. Below are the features of this software. It detects network vulnerabilities in real-time without downgrading the performance of a network. The compliance engine ensures that the processes comply with the standards for HIPAA, PCI-DSS, NIST, SOX and CIS. Extensive reporting tools give a snapshot of the network’s health at any point in time. Allows users to generate scripts using SmartMerge Technology to handle different configurations. Also, users can rollback entire configurations without having to reboot the device. Role-based access control helps to securely share workload administration. Has the ability to scan more than a thousand devices n one minute. This frees IT employees to focus on high priority tasks. Pricing depends on your requirements, Contact Sales for Accurate Quote. ManageEngine is another big name in the world of network monitoring and configuration. This network configuration manager is a multi-vendor network solution for network configuration, management and compliance. Supports devices from 22 vendors including Cisco, HP, Juniper, Dell, Aruba, NETGEAR, Yamaha, Vanguard and more. Automatically scans the network to identify new devices and add SNMP-enabled devices in bulk with a single click. This saves the trouble of adding each device manually. Configurations are versioned and stored in the database, so retrieving them when needed is easy. The dashboard contains a list of all devices, so inventory-management is easy. Users can get serial numbers, IP addresses, properties and all other pertinent information in a single location. Provides option for creating scheduled tasks to backup, check and upload configurations. Comes with a built-in configuration approval mechanism where top level administrators inspect and approve the configuration changes before it is deployed to any device. Uses automated advanced scripts for remote firmware upgrades. Price varies according to the number of devices, so it’s best you contact the sales team for a quote. You can download a free trial here. rConfig is a free and open-source network configuration management software. It’s a little different from all other options available today because you have to choose the commands you want to run against a device. Essentially, you’ll have to configure rConfig with a set of commands for every category, add devices to the category and create a scheduled task. rConfig will take care of the rest for you. Here are some of its handy features. Comes with built-in reports for better understanding of devices and network. rConfig can be downloaded here. Alternately, you can also get it from GitHub. In short, network configuration management software helps to configure different devices, monitor your network for vulnerabilities and manage different devices within it. The efficiency and performance of these tools make them indispensable in today’s ever-growing world of networks.